Search the internet and you’ll find a million home remedies for colds. You’ll find everything from the simple chicken noodle soup remedy to the bizarre onions in your socks. The question is, do these remedies actually work? The answer, of course, isn’t simple. Some do, some don’t. 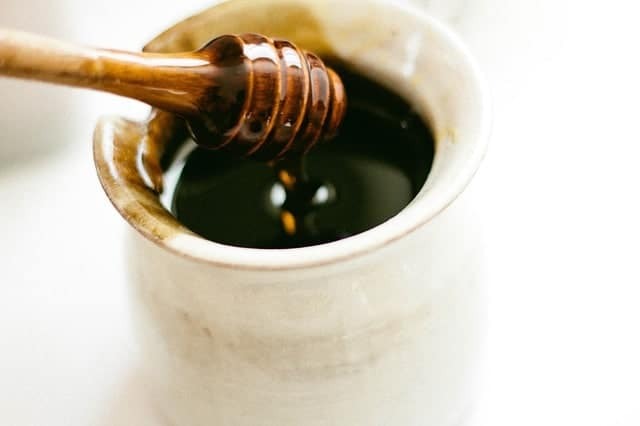 Before you smell up the house with garlic & onion elixirs, check out my list of home remedies for colds that actually work! Preventing Colds & the Flu: It’s a Process! First, let’s talk about what actually constitutes a “home remedy,” because I think the term has gotten a bit skewed over the years. A home remedy is something that you can easily do at home, using common items. Things you can get at the grocery store or already have in your house. While some herbal remedies may fall under the “common item” category, others require a trip to special stores. Not all towns have shops with a huge selection of rare Chinese herbs. While some of those remedies do work, I’m not including them in this article. They’re not, by definition, home remedies. They’re fantastic alternative medicine remedies, but not home remedies for colds. By the way, this article in no way constitutes medical advice. You’re smart enough to know that you should see a doctor if you’re feeling utterly miserable. You’re also smart enough to know that you should always consult your doctor before you try home remedies for colds if you have a preexisting medical condition. I don’t need to disclaim that, right? Note that there is no cure for the common cold. These home remedies for colds will help ease symptoms, but only time can actually “cure” the cold. Chicken Soup: Yep, that’s right! Grandma’s favorite home remedy for cold actually works! Back in 2000, the Pulmonary and Critical Care Medicine Section of the Nebraska Medical Center in Omaha conducted a study to determine if chicken noodle soup could actually ease cold symptoms. While they’re not certain of the biological reason behind it, chicken soup did help relieve symptoms related to mucus better than plain hot water. The noodles are optional, although it’s just not the same without them if you ask me! 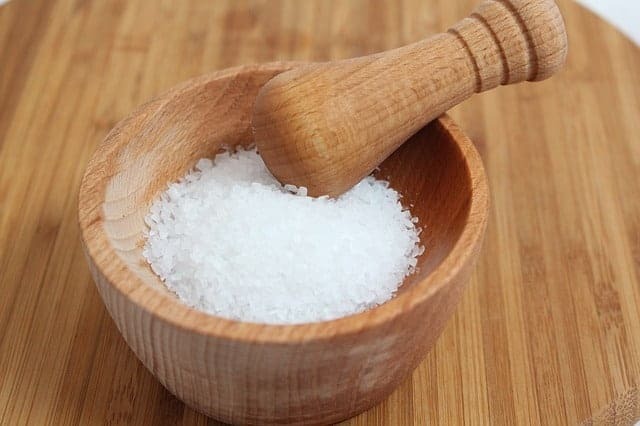 Warm salt water gargle: One of the easiest ways to relieve a scratchy, sore throat is with plain old salt and warm water. Don’t overdo the salt. You only need about ½ teaspoon for a full 8-oz glass of water. This is also great if you’re prone to those weird little things that pop up on your tongue when you’re sick. I call them tongue pimples. They are actually called transient lingual papillitis. Saline nasal spray: Boy, salt sure is popular when you’re feeling miserable, isn’t it? Saline nasal sprays are pretty cheap to buy over-the-counter in stores, but what if you’re so sick that you can’t leave the house? You can easily make your own. I found a great recipe at ThriftyFun that recommends using 1/3 teaspoon of salt to 1 cup of water. She actually spoke to a pharmacist to get the right ratio, so check out her recipe for specifics. Honey: First, do not use honey in children under 1 year. That said, honey is amazing for coating the throat and relieving coughing. The darker the honey the better. This home remedy is actually backed by a scientific study. Plenty of fluids: Perhaps the easiest of all the home remedies for colds that actually work: drink more fluids. Your doctor will tell you the same thing, and for a good reason. Those fluids don’t just keep you hydrated, they help thin all that nasty mucus (one of my least favorite words, by the way, along with phlegm and sputum). So drink up, sunshine! Water is best. Add a bit of lemon for an added cold-fighting punch (or to make it taste better). Hot decaf tea is my second choice. Toss in some honey and kill two remedies with one stone! Steam: Remember those steam facials you used to do when you were a teenager to open up your pores? Well, they’re also perfect for opening up your lungs and sinuses. Heat up a pot of water until it starts to let off steam, then remove it from the stove and drape a towel over your head and the pot. Keep your head in there for about 10 minutes. You can also turn your bathroom into a sauna by turning on the shower super hot and closing the door until the room fills up with steam. The following are a few home remedies for colds that I’ve tried with mixed results over the years. I’m including them because they may help you. If you have the ingredients on hand, give them a try. Otherwise, I wouldn’t go out and spend the money. Garlic: Did you know that garlic is like nature’s own super antibiotic? Of course, that aspect does you no good with a cold, since antibiotics can’t cure viruses. Garlic also has antiviral properties, although more research needs to be done to determine how those properties work against the common cold. Forget the science for a moment, though. 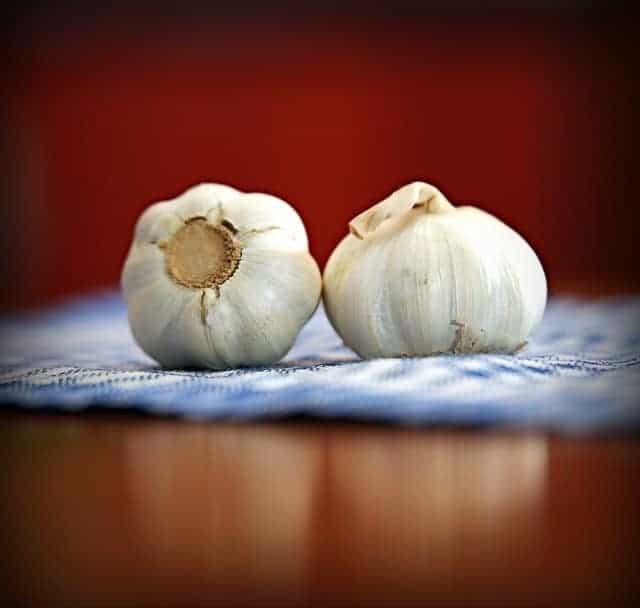 Garlic does do a decent job of opening up your sinuses and easing your cough…sometimes. I think it really depends on how much you use. I’ve never had success with garlic pills or powder, just the real, fresh stuff. Don’t use garlic if you’re taking blood thinners or have a clotting disorder. Spicy foods: Similar to garlic, spicy foods are one my favorite ways to open up my nasal passages. Try our Spicy Carrot Puree on some pita bread for a healthy spicy recipe. Zinc: Despite the zillion and one articles that proclaim zinc the miracle cure for the common cold, it’s really a hit or miss remedy. Zinc may reduce the longevity of your cold if you take it when you first notice symptoms. Same with Vitamin C and Echinacea. I personally feel like drinking orange juice helps my colds go away faster, but it could have something to do with the fact that I’m actually drinking more fluids when I guzzle my OJ. Onions in your socks: Just kidding. I’ve never tried this. Sorry, I’m just not that adventurous! Still, it’s one of those things that if you think it could work, it couldn’t hurt to try I suppose. That’s the thing about home remedies, for the most part they’re harmless. As long as you’re in general good health and it doesn’t require you to ingest non-edible things or do anything that just sounds dangerous, if you want to try something totally off the wall, go for it. I once made my brother a horrible home remedy with garlic, Worcester sauce, salt, vinegar, lemon and honey because it was supposed to ease strep throat. I don’t think he got it past his lips, but hey, it was worth a try! On a final note, maybe you’re wondering “what makes her more qualified than any other random writer on the net to tell about home remedies for colds that actually work” Hey, I’m not insulted, I’d be wondering the same thing. I’m not a doctor. I did go to nursing school, so I have a very basic medical background. I also did years of research. Not in a lab or anything, but I’ve definitely clocked the hours reading and testing on myself (no guinea pigs were harmed in my research, I caught enough colds to be my own test subject!). 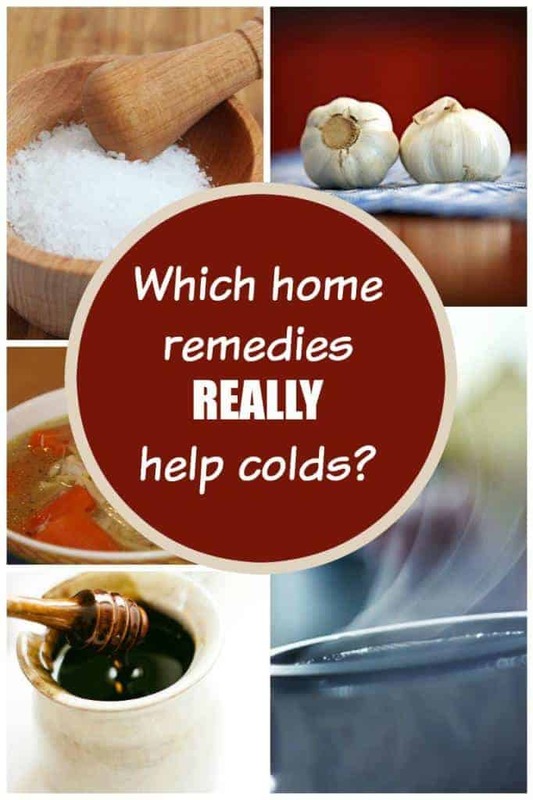 Do you have any tried and true home remedies for colds that actually work? Share in the comments! Chicken noodle soup is one of my go to home remedies. And Vicks on your feet surprised it actually works! For me it is still all about chicken noodle soup and hot tea. Those are the only things that work. Warm salt water gargle always seems to work for me too! I hate it, but it does clear up the throat. As much as I hate gargling with salt water it really does work. For my youngest son, I use Zarbee’s which is natural product that contains honey. It works well and I am not pumping him full of harsh chemicals. I suffer from indoor allergies year round and it is horrible.